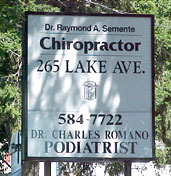 Our office is located on 265 Lake Ave. in St. James. Lake Avenue is located between Woodlawn Ave. and Route 25A (North Country Rd). 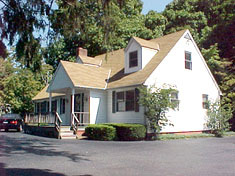 The office is a renovated Cape Cod which gives the impression of a home office setting in a commercial area of town. The office is zoned medical professional and is owned by Dr. Semente. OUR SIGN IS EASILY VISIBLE.If you need directions, call us at 631-584-7722 and we will gladly provide them to you. Schedule by Phone, Or Click Here to Make Your Appointment Online.